Your style. Your fit. You're welcome. Throughout our lives, we often find ourselves confronted with the task of figuring out how to stand out amongst countless others that we face on a daily basis. As we grow, we go through phases and the ways in which we go about achieving this task begin to change with us. This desire to differentiate from the majority is inherent within some of us, while others are content with a more apathetic approach, opting to blend in rather than risk rocking the boat. With each new self-discovery, a sense of individuality starts to take shape. The easiest, and most obvious way to express that individuality is through one’s appearance. We start to see it even as children, going from having your clothes laid out by mom to that moment you finally give her the Mutombo finger shake of rejection when she tries to pick your outfit for the last time. From there we can look to the teenage years, a big trial and error phase for most. In time, people start to get a firmer grasp on their style, the impression they hope to give to others, the people they hope to attract, and so on. As we venture into adulthood and beyond, these appearances matter far greater than before. In a world where so many succumb to the conformity around them, it’s the one that possesses that level of authenticity, the one that feels suffocated by the thought of “fitting in” that gets noticed first. 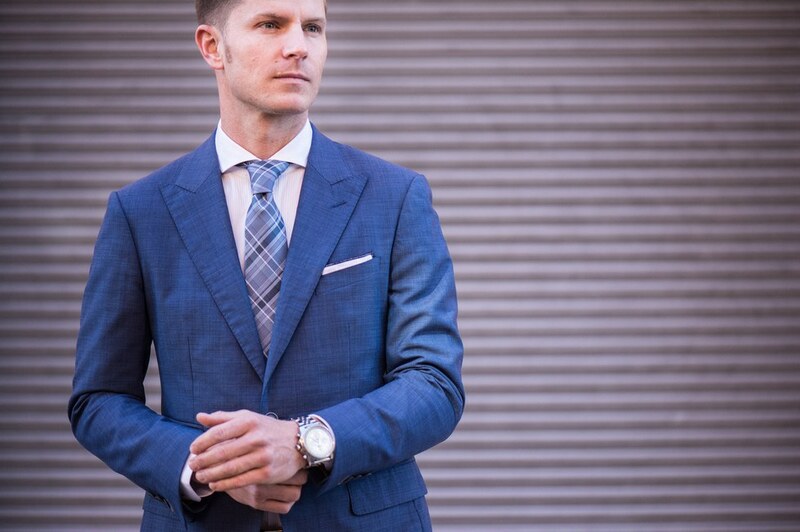 As a man, there’s just no easier way to stand out than in a fine suit. For far too long, a sense of creativity and personality escaped the world of menswear, making way for a more mass produced, off-the-rack, clonelike mentality. Now, a game changer has stepped into the ring, allowing you a seemingly infinite level of customization down to the smallest detail, effectively making you the designer behind your own dream suit. 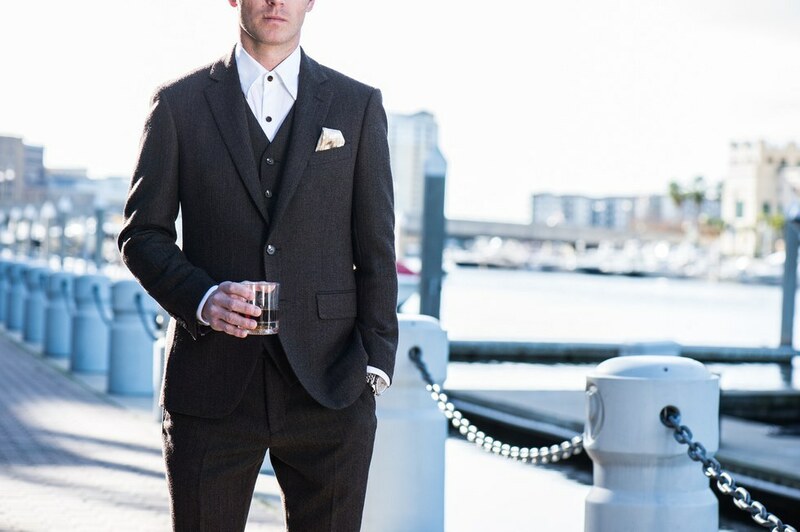 What you’re left with is a garment, tailored to your specific fit, with a style unique to you and only you – courtesy of SilverFox Label. He went on to tell me how his grandfather, Howard Mills, is a man that, not only he, but everyone can learn from. As a role model throughout his upbringing and now into his adult life as well, he always set an example of what to aspire to be like. He epitomizes the term Silver Fox as acting with class, exuding confidence, and most importantly, always being dressed to kill. While some may view the name as lending to an older audience, it couldn't be further from the truth. The styles and options available to you from the moment you begin designing your custom garment are so limitless it can best described by imagining the figure eight of infinity in your head, allowing you to be as traditional or as unconventional as you'd like. 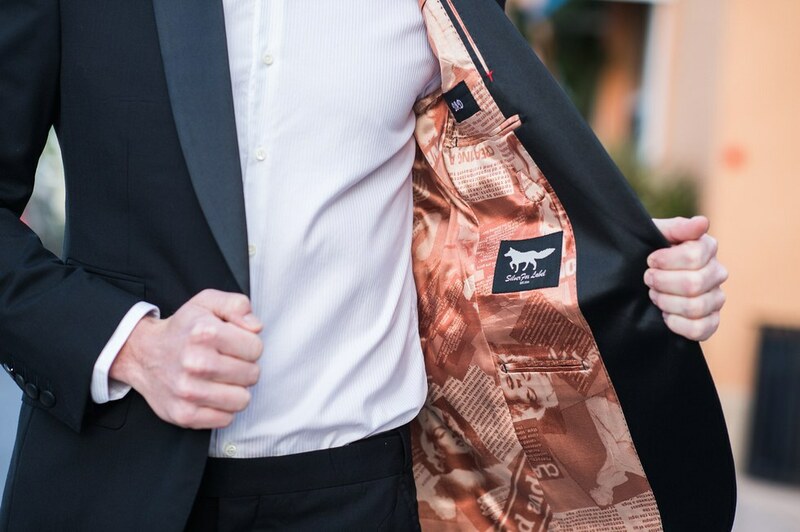 Aside from suits, SilverFox Label also offers custom options for dress shirts, sport coats, trousers, tuxedos, and overcoats. Most tailors use a system of anywhere between 10 to 15 measurements. 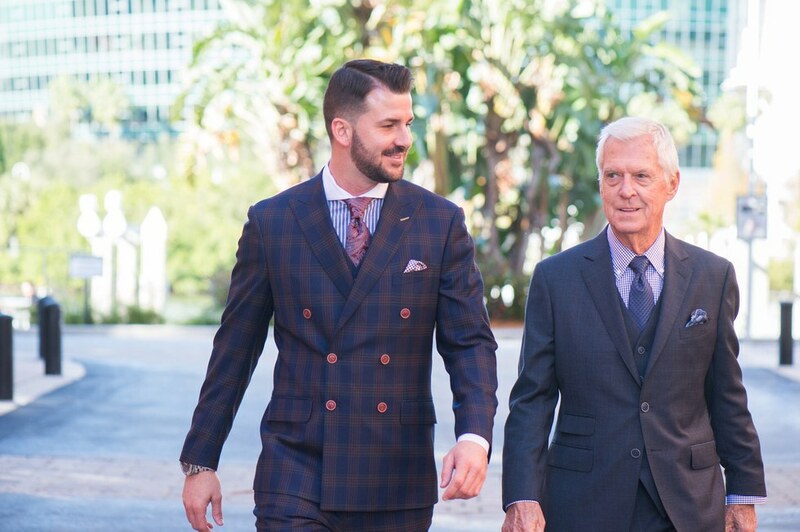 Every SilverFox member is measured with a relentless attention to detail using a 26 point body measurement and then the selecting from 9 different fit options depending on how tight or loose you desire. They will even send a trained stylist consultant to your home or office to set up a consultation and fitting. Once you've been measured, the fun part comes. You start designing your suit from head to toe, down from the most eye-catching to the most subtle of specifications; choosing the fabrics, the inner lining, lapel size and style, additional pockets, working buttonholes, accent thread colors and everything in between. Also, being fully aware of the human body's likeliness to change over time, any further adjustments or modifications that may be necessary later down the line are covered as well. After an estimated 4-6 weeks, your customized creation is hand delivered to you by your stylist who will then conduct one final inspection and adjustments, if needed. Companies like this one, that offer the ability to personalize your wardrobe to reflect your individual taste and preference are only going to become more and more frequent. So when you go in for that interview, catch the gaze of that woman you've been eyeing across the room, or if you just feel like walking down the street looking damn good, you'll feel confident in the fact that you don't look like 'this' guy or 'that' guy – you're You. You're welcome. For more information, a look into the gallery, or to book your consultation visit the SilverFox Label website.